Improv is a team effort, but in catching up with the Upright Citizens Brigade Theatre’s long-running Sunday night “Assscat” show which features the theater’s best players who are in New York and available, at the early show on December 23, one player stood out. 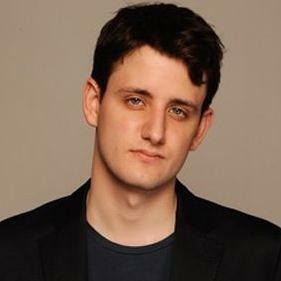 Zach Woods, a cast member of “The Office” for two seasons, and a veteran of UCB improv teams including “The Shoves,” showed great creativity and aptitude for bringing back pieces of prior scenes – even those before the intermission between sets. Woods devised a fully realized character of a divorced youth minister on the spot, then popped him into later scenes when his appearance would have a big impact. The other improvisers on this night, Michael Kayne, Shannon O’Neill and Chris Gethard, all filled in certain colors and material to the scenes, although Woods stood out as an architect thinking on a different level. Gethard, playing on his own persona (see reviews of his book, 2/7/12 and solo show, 12/20/08) got laughs just with a goony stare into space to depict a simpleton character. O’Neill devised a concept of a “shame kiosk” at Bed, Bath & Beyond that one would visit to get rid of things about oneself that were shameful, or get help in that regard. Rubanova initiated quite a bit of material as well, especially a sexually voracious but clueless young girl who would pop up and attack others at different points – just about any time O’Neill would be doing something like playing skeeball or “Dance Dance Revolution” at an arcade, thus inviting those moments in scenes. “Assscat” has been running for 16 years now, from well before the UCB got its current theater space. In years past, Amy Poehler and the other original UCB members were frequently in this show, along with Tina Fey, Paul Scheer, Rob Huebel and many other alumni of the theater who are now all over the comedy landscape. Woods, O’Neill and Gethard have all now been affiliated with UCB for several years and are carrying on the “Assscat” tradition as energetically and inspired as ever.